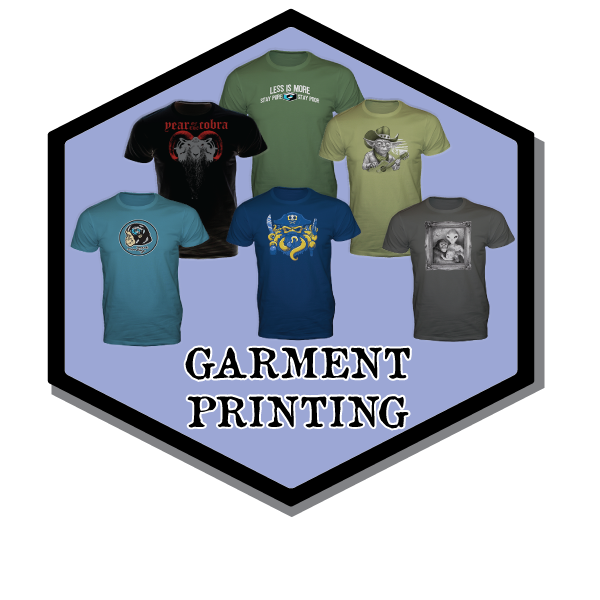 Non-Phthalate Union brand Plastisol inks. Print on shirts, sweatshirts, youth, sleeves, tote bags, etc. Up to 5 spot colors on dark garments. 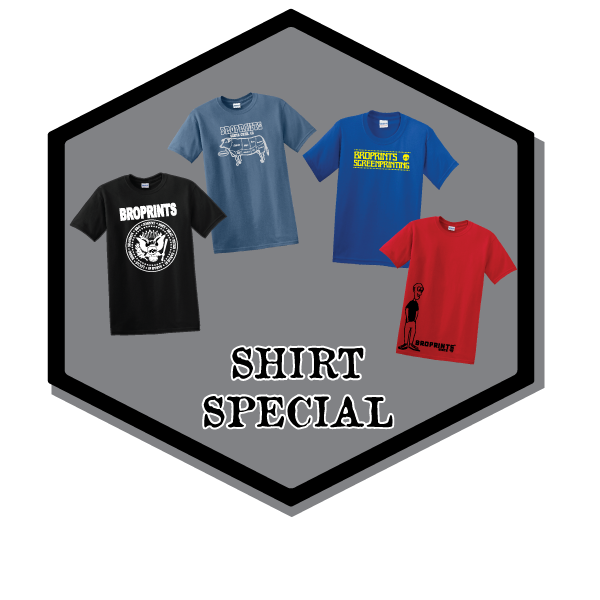 Shirt special requirements only, no add ons, no exceptions. For shirt special ordering fill out form below.